GPS manufactures and distributes and wide array of garbage bags, trash bags and recycling bags. Lets face it, this is not a glamorous subject. But it is a subject that wont soon go away. With everyone making a stronger concerted effort to be more Earth friendly, it is important to sort your recyclables and depose of all consumer waste in a more conservative and pro-active eco friendly manner. GPS’s line of durable and reliable garbage bags offers an exceptional combination of low cost and high quality. 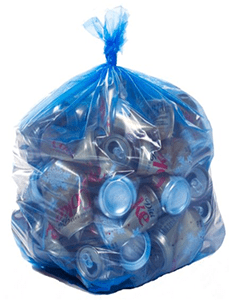 These superior garbage bags provide an economical heavy-duty can liner solution for any residential home or commercial operation. Manufactured with highest quality resin technology, these leak-resistant bags are stronger than similar garbage bags. Our reinforced seal bottom virtually eliminates the chance of leaking. 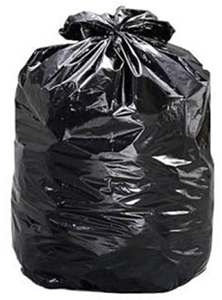 These large garbage bags are ideal for those large clean up jobs around the home, school or office. Our blue recycling bags are made from strong & resilient linear low density plastic. These blue recycling trash bags will help comply with your town’s recycling program, These can liners are perfect for home recycling. Our recycling bags are 100% recyclable, are made with linear low density resin for puncture resistance. They are great for cans, bottles and containers.